Invest Openly: Who Benefited From The Mobile Air (Sim Lim Square) Saga? Who Benefited From The Mobile Air (Sim Lim Square) Saga? 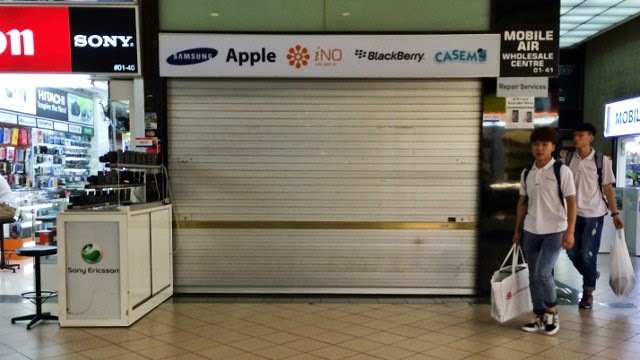 The hottest social news at the moment is non other than the black-sheep shop (Mobile Air) at Sim Lim Square. The shop owner (Jover Chew) ill-treated his customers via some sort of mal-practices. Two of the recent glaring incidents : unwillingly refund one of his lady customer in bag of coins and causing a male customer to kneel down and beg for refund, both are tourists, by the way). For more details about the case, just Google Jover Chew or Mobile Air and you will be surprised on what you will see in the result. In any case, the objective of this post is not to dig further on the culprit or the victim but to identify any learning lesson, or beneficiaries that we can identify out of this saga? 1. The general public/consumers (especially the tourists) - with the wide coverage of the news (in both mainstream as well as the social networking sites), both locals and tourists are more aware of the black sheep shops at Sim Lim Square now. 2. Indiegogo - a crowdfunding platform that allow user to create campaign and source for fund from the general public. Because of the incident, one kind soul has initiated a campaign (click here to view) recently and managed to raise a whopping USD 11,578 (still counting) for the poor Vietnamese tourist. The interesting tagline of the campaign read : "We need to make this right, send him an iPhone 6". By the way, Indiegogo is the current top search in Singapore's Google Trends. 3. SMRT (Feedback) Facebook Fan Page - The administrator of this Facebook Fan Page single handedly uncovered every single personal details of the shop owner (Javer Chew) and any businesses that potentially connected with him. It did a better job than the authorities. At the time of writing, Mobile Air is closed for business and hope that it is closed for good. From retail investors perspective, it just show how important for us to understand more about the businesses that we are interested in, how they usually treat their customers will make or break them (this is especially true for those penny stocks or S Chip companies). Oh no I owned one big piece of s chip companies. Poor fellow and his wife. Please ask everyone you know to send him an email to 'support' him.